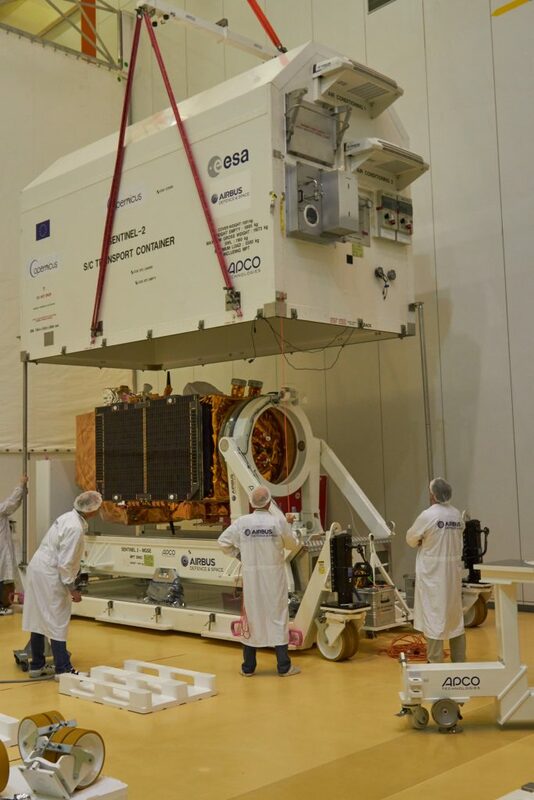 Following its arrival at Europe’s spaceport in Kourou, French Guiana, on 6 January, the Copernicus Sentinel-2B satellite has been removed from its transport container, placed on its trolley and hooked up to its electrical support equipment. This means it is now all in place for the seven-week campaign to prepare it for launch. Cranes were used to hoist open the container and place it on the trolley. 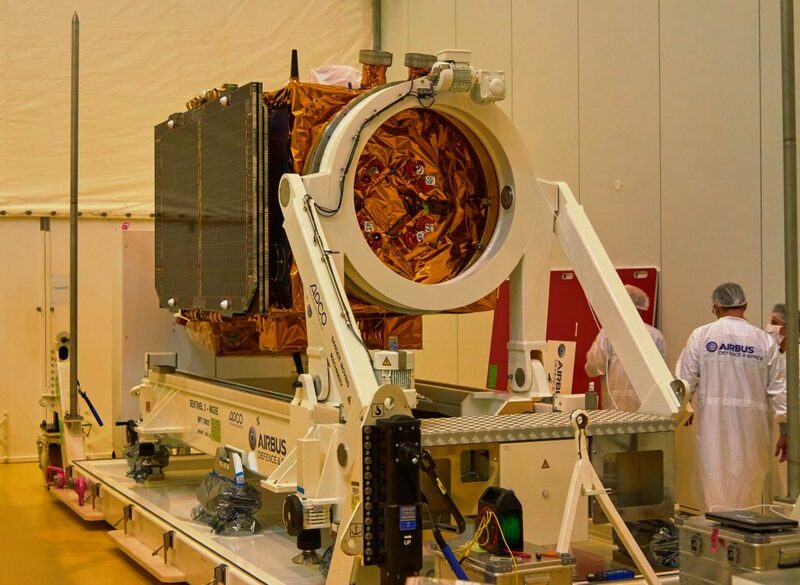 Initial checks indicate that Sentinel-2B has withstood its journey from the Netherlands in good condition. 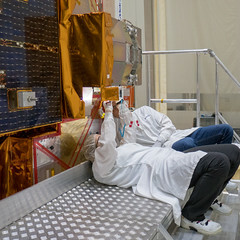 Once in position, the electrical support equipment that will be used to test the satellite was connected. ESA’s launch campaign manager, Paolo Laberinti, said, “It’s good to see that our delicate cargo arrived safe and well. We’ve already been able to set up all the technical equipment that we use to test the satellite and connect it to its electrical equipment – so that it’s ready for testing. New members of the launch campaign team are arriving and all having their safety and equipment training. The weather is hot and sunny with hardly any rain – though the mosquitos are a pest as usual!